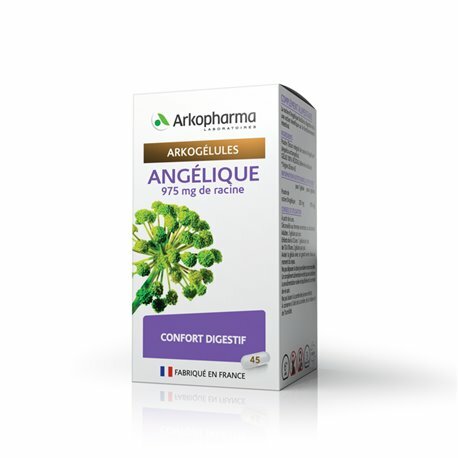 The ARKOCAPS Angelique supplements improving digestion to prevent flatulence, bloating and abdominal pain. Angelica is a plant that grows in the mountains of the Alps and the Pyrenees. In herbal medicine, the root of Angelica which contains an essential oil used. It has anti-spasmodic properties that soothe intestinal spasms and pain. It is bile: it facilitates the flow of bile therefore digestion. It prevents the formation of intestinal gas. If you suffer from bloating, flatulence or intestinal spasms, ARKOCAPS Angélique help you get rid of these annoyances.